Product prices and availability are accurate as of 2019-04-19 16:45:34 UTC and are subject to change. Any price and availability information displayed on http://www.amazon.com/ at the time of purchase will apply to the purchase of this product. 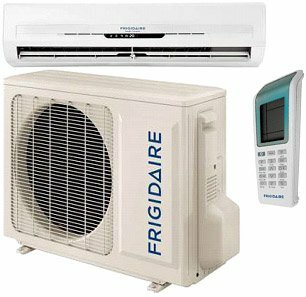 220-240 Volt/ 50 Hz Premier Series Plus Split Air Conditioners, Energy Class A (consumes less Energy), R410A ENVIRONMENTALLY FRIENDLY REFRIGERANT, CE, RoHS Approvals, Cooling Only, Remote Control with Time-of-Day Clock, 9000 BTU Cool Split Air Conditioner, Automatic 24-Hour On/Off Timer, Electronic Display on Evaporator, 4 Fan Settings (High, Medium, Low and Auto), Sleep Economy Mode, Automatic Restart, 2 Nylon Filters, Self-Diagnostic System, Weather Protection System, Automatic Swing Louver Control, My Temp Comfort Sensor, Bio/HEPA Filter, Active Carbon Filter, Dehumidification Function, Galvanized Steel Condenser Cabinet, Blue Fin Technology (Evaporator), Healthy Air Evaporator Cleaning System, High Efficiency Heat Exchanger. This product is made to use overseas. This will not work in the US. 220-240 Volt/ 50 Hz Premier Series Plus Split Air Conditioners Energy Class A/A (consumes less Energy), R410A ENVIRONMENTALLY FRIENDLY REFRIGERANT 9000 BTU Cool Only, 4 Fan Settings (High, Medium, Low and Auto), 2 Nylon Filters, Self-Diagnostic System, Weather Protection System CE and RoHS approval, Bio/HEPA Filter, Active Carbon Filter, Dehumidification Function, Blue Fin Technology This product is made to use overseas. This will not work in the US.